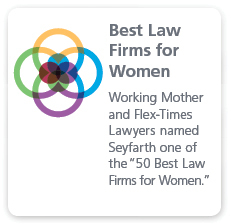 Seyfarth’s cross-disciplinary team of attorneys is on the forefront of this practice area, providing clients with highly effective and cost-efficient counseling and representation in this ever-evolving field. Our False Advertising and Product Labeling & Warnings practice consists of attorneys who have in-depth experience consulting with and advising companies on a wide variety of matters. These include avoiding the pitfalls of advertising claims; handling false advertising, fraud, unfair competition and deceptive trade practice claims from consumers, competitors and State Attorneys General; product labeling, product recall and product liability counseling and litigation; responding to investigations, inquiries and audits by the Federal Trade Commission (FTC), the Consumer Product Safety Commission (CPSC), and other enforcement agencies; and counseling regarding insurance coverage and recovery for advertising injury claims. Our attorneys regularly appear in federal and state courts around the country, including in defense of class actions and multi-district litigation, as well as before the FTC and its various state and municipal counterparts, and the National Advertising Division of the Better Business Bureau (NAD). We have substantive knowledge of the U.S. Food & Drug Administration and U.S. Department of Agriculture regulations applicable to food, beverages and dietary supplements and how those regulations are used in litigation relative to state law and other claims. We also regularly counsel and litigate on behalf of the beauty and cosmetics, and health and wellness, industries. In addition, our attorneys advise many manufacturers, distributors and retailers, as well as restaurants, with respect to enforcement of, compliance with, and litigation under California’s Proposition 65. Seyfarth attorneys bring a trial attorney’s perspective—with extensive litigation experience—to the cross-disciplinary approach to advertising and labeling issues. Our team frequently analyzes potential advertising and related marketing campaigns before launch to help ensure appropriate levels of claim substantiation and non-infringement of third-party assets. 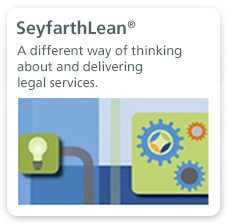 Seyfarth attorneys assist companies in analyzing potential product risks, reviewing existing warnings and warranties, and developing appropriate warnings, warranties and instructions for new products under state and federal regulations. They also have extensive experience in evaluating and defending labeling claims—including class actions—under various state and federal consumer statutes. 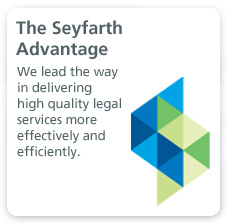 If the need arises, Seyfarth attorneys are experienced in defending against criminal mislabeling allegations. Falsely representing that a product is "Made In America" or "Union Made"